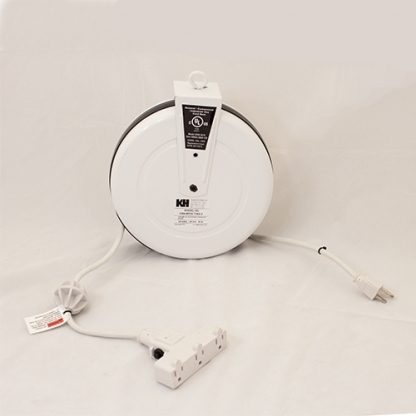 New to K&H Industries white cord reel product line is an affordable, 10 amperage retractable cable reel ideally suited to provide low cost temporary power for retail and teaching environments. BUFFALO, N.Y. - July 24, 2013 - PRLog -- KH’s Industries has expanded their product line of white retractable cord reels to include an indoor use, 10 amperage reel with 30 foot cord and three N5-15R triple tap outlets. The clean, unobtrusive look and compact size of the reel allow it to blend into the environment. 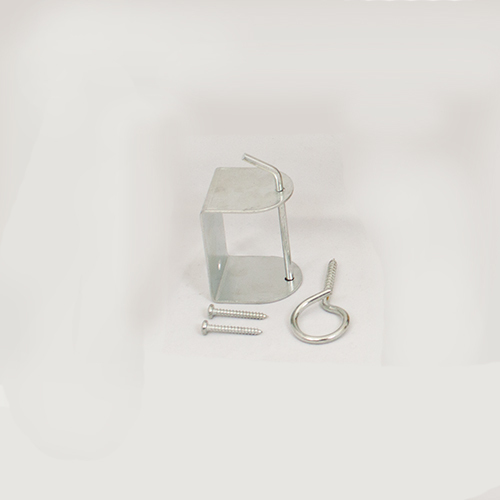 When not in use, the cable stays out of the way with an adjustable ball stop and can easily pulled down when needed. “This low cost reel is an ideal solution for classrooms and retail environments where low amperage temporary power is needed. ” explains Joseph Pinker, president of KH Industries. In addition to the low amperage white reel, KH Industries offers a full line of industrial grade reels when higher amperage is required. View KH Industries full line of white retractable cord reels. Or check out KH Industries complete line of ReelTuff Cord Reels.